After so many leaks and rumors, Samsung has finally launched the new flagships Galaxy S9 and Galaxy S9+ in an official MWC 2018 event in Barcelona today. As the previous leaks suggests, the devices looks similar and the bigger S9+ comes with a dual rear camera setup just like the Note 8 smartphone from last year. The devices comes with Infinity Display that is an end-to-end bezel-less display with a fingerprint scanner moved slightly below the rear camera. The new devices are available for pre-orders in number of countries starting today. 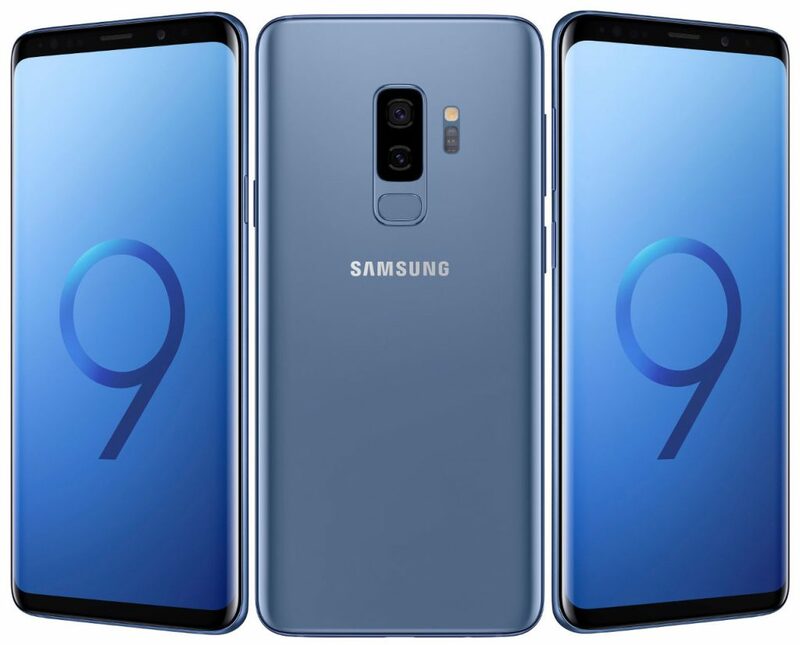 Both the Samsung Galaxy S9 and Galaxy S9+ comes with Midnight Black, Titanium Gray, Coral Blue and Lilac Purple color options. The Samsung Galaxy S9 is priced at $719.99 and the bigger S9+ is priced at $839.99 in the US and will be available starting March 16, 2018. The devices are also available for pre-order in Canada, UK, US and India and will be available in more regions this month. The Galaxy S9 comes with a 5.8-inch Quad HD+ Super AMOLED Infinity display with 570ppi, Corning Gorilla Glass 5 protection and 2960 × 1440 pixels resolution and is powered by an octa-core Qualcomm Snapdragon 845 with Adreno 630 GPU / Octa-Core Samsung Exynos 9 Series 9810 processor with Mali G72MP18 GPU. It comes with 4GB of LPDDR4x RAM with 64GB/128GB/256GB inbuilt storage options (UFS 2.1) and come with expandable storage with microSD card up to 400GB as well. It runs on the Android 8.0 (Oreo) OS out of the box and comes with single SIM and Hybrid Dual SIM options. The Galaxy S9 features a 12-megapixel Dual Pixel rear camera with LED Flash, f/2.4-f/1.5 variable aperture, 480fps super slo-mo and has an 8-megapixel auto focus front-facing camera with wide-angle lens and f/1.7 aperture. It is backed up by a 3000mAh battery with fast Charging both on wired and wireless (WPC and PMA) charging. Connectivity options available are 4G VoLTE, Wi-Fi 802.11ac (2.4/5GHz), VHT80 MU-MIMO, Bluetooth 5 (LE up to 2Mbps), GPS with GLONASS, USB 3.1, NFC, MST and it comes with water and dust resistant features with IP68 ratings. We also have stereo speakers tuned by AKG and Dolby Atmos. 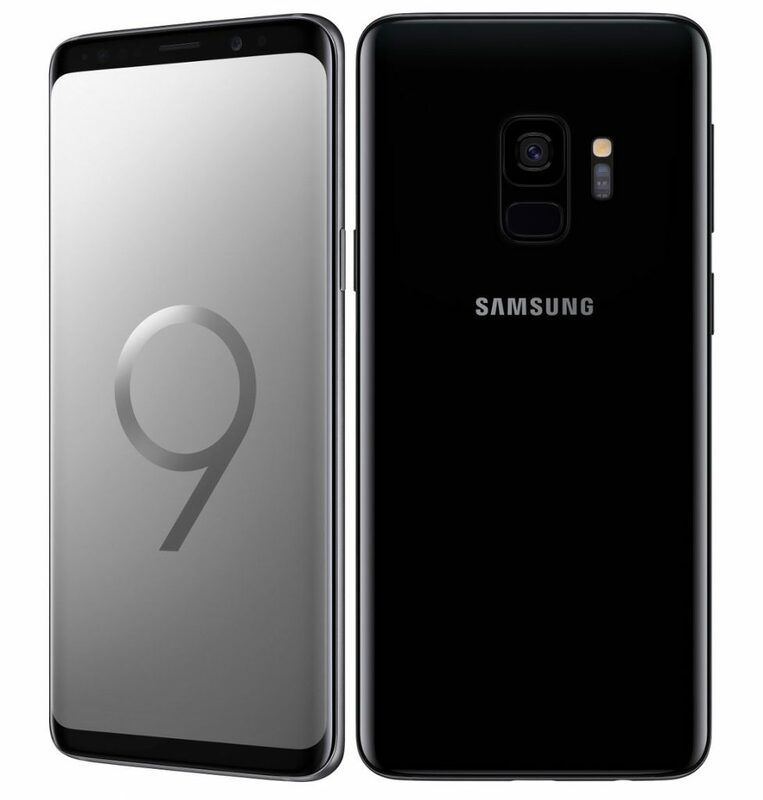 The bigger Galaxy S9+ features a 6.2-inch Quad HD+ Super AMOLED Infinity display with 529ppi, Corning Gorilla Glass 5 protection and 2960 × 1440 pixels resolution and is powered by an octa-core Qualcomm Snapdragon 845 with Adreno 630 GPU / Octa-Core Samsung Exynos 9 Series 9810 processor with Mali G72MP18 GPU. It comes with 6GB of LPDDR4x RAM with 64GB/128GB/256GB inbuilt storage options (UFS 2.1) and comes with expandable storage with microSD card up to 400GB as well. It runs on the Android 8.0 (Oreo) OS out of the box and comes with single SIM and Hybrid Dual SIM options. The Galaxy S9 Plus features a dual rear camera with 12-megapixel camera having f/2.4-f/1.5 variable aperture, LED Flash, 960fps super slo-mo along with a 12-megapixel secondary rear camera with f/2.4 aperture and has an 8-megapixel auto focus front-facing camera with wide-angle lens and f/1.7 aperture. It is backed up by a 3500mAh battery with fast Charging both on wired and wireless (WPC and PMA) charging. Connectivity options available are 4G VoLTE, Wi-Fi 802.11ac (2.4/5GHz), VHT80 MU-MIMO, Bluetooth 5 (LE up to 2Mbps), GPS with GLONASS, USB 3.1, NFC, MST and it comes with water and dust resistant features with IP68 ratings. We also have stereo speakers tuned by AKG and Dolby Atmos.